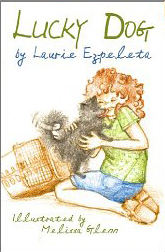 Among the books written by Laurie Ezpeleta are the young adult novel Lucky Dog (2011) and the children's book A Witches' Thanksgiving - a spooky but charming poem about the witch Grizelda and her friends. 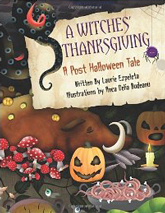 Kirkus reviewed A Witches' Thanksgiving as "a beautifully illustrated, energetic, imaginative tale that shows a side of Halloween monsters that readers rarely think about - witches need friends, too." Ezpeleta has also been published in a number of magazines and newspapers. 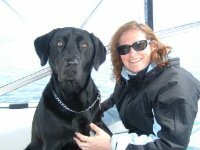 She is an avid traveler who has hiked, kayaked and sailed all over the world, but always looks forward to coming home to Bainbridge Island, her family, and her dog Buddy.